If you have panic disorder, you will likely be treated with an antidepressant medication. One popular antidepressant used to treat panic disorder and other conditions is Prozac (fluoxetine). Prozac is the trademark name of the drug fluoxetine, a medication belonging to a class of antidepressants known as selective serotonin reuptake inhibitors (SSRIs). SSRIs first became available in the United States in the 1980s and quickly came to be the most commonly prescribed type of antidepressant medication. Due to the effectiveness, safety, and limited side effects of SSRIs, their popularity continues to grow. Being the first SSRI introduced in the U.S., Prozac is the most well-known and prescribed antidepressant. 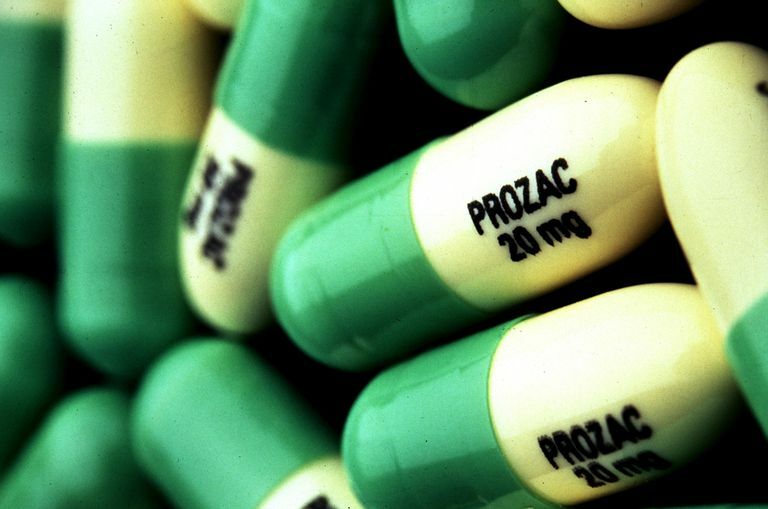 Doctors initially prescribed Prozac to treat depression. However, research has shown that it can treat a variety of mental health and medical conditions. Currently, Prozac is used to treat a major depressive disorder, bipolar disorder, eating disorders, chronic pain, migraines, irritable bowel syndrome, and anxiety disorders, including obsessive-compulsive disorder, panic disorder, and agoraphobia. Prozac stabilizes your levels of serotonin, a naturally-occurring chemical in the brain that's linked to how we regulate our moods. People with mood and anxiety disorders have an imbalance of serotonin. As an SSRI, Prozac works to influence serotonin by inhibiting its absorption in nerve cells in the brain. By balancing serotonin, Prozac can assist with alleviating anxiety and enhancing mood. Prozac can also help in reducing the severity of symptoms of panic disorder and aid in reducing the symptoms of some common co-occurring conditions, such as depression or irritable bowel syndrome (IBS). Many people experience side effects that later subside or become less bothersome. Please note that these are only some of the side effects that can occur while taking Prozac. Consult your doctor if you experience any side effects that become unmanageable or don’t go away. Your doctor will need to monitor your reaction to your medication, especially when initially starting with Prozac or when adjusting your dosage. Don’t expect Prozac to immediately make you feel better. Improvements are often noticed days to weeks after starting Prozac, but it can actually take up to several months before you experience the full effect. Try to give your medication some time before determining whether or not it's helping you. Never abruptly stop taking your prescription. Although Prozac is long-acting and tends to taper itself, discontinuing it on your own may lead to withdrawal symptoms, such as increased anxiety and irritability, headaches, confusion, and lightheadedness. Additionally, your panic disorder symptoms can worsen if you suddenly stop taking your medication. Your dosage of Prozac can be gradually and safely reduced with your doctor's guidance. Black box warning: In 2007, the Food and Drug Administration (FDA) issued a black box warning for all SSRIs. The FDA cautioned that SSRI usage has the potential to increase thoughts and behaviors related to suicide. This issue was found to be particularly concerning for adolescents and young adults who are taking SSRIs. Prescribing doctors must be especially observant of young people just beginning SSRI usage and monitor for signs of worsening mood or any suicidal thoughts. Pregnancy/nursing: Prozac can be passed on to unborn babies during pregnancy or through breast milk when a baby is nursing. If you're pregnant or nursing, consult with your doctor about the possible risks of taking Prozac. Alcohol: You should avoid alcohol while taking Prozac, as it may increase the medication's toxicity or decrease its effectiveness. Lightheadedness, dizziness, and drowsiness: Prozac can make you feel lightheaded, dizzy, and tired. It's important to be cautious while driving or performing any other duties that require your full alertness and concentration. Older adults: If you're 65 or older, you may be at higher risk for some side effects of Prozac, so it may not be a good option for you when there are other medications available that are less risky and can accomplish the same goal. Drug interactions: You should be cautious when taking Prozac with other medications, as drug interactions can lead to serious issues. Keep your doctor up-to-date on your current medications, both prescription and over-the-counter, as well as nutritional supplements or herbs you take. The information provided here is simply an overview regarding the use of Prozac for panic disorder. This information does not cover all potential variables, including possible side effects, precautions, and contraindications. Always talk to your medical provider about any questions and concerns you may have about your prescription. Medline Plus. Fluoxetine. The American Society of Health-System Pharmacists, Inc. U.S. National Library of Medicine. Updated August 15, 2017.